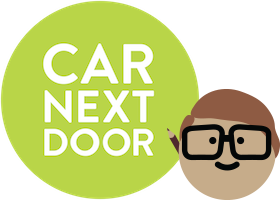 When you borrow cars with Car Next Door, you'll pay an hourly or daily rate plus a rate per kilometre. The per kilometre rate includes fuel, and also compensates the driver for all the other running costs associated with your driving, like tyre wear and servicing. Each car has a distance rate chosen by its Owner. Owners can choose from three distance rates: 21c, 33c or 45c per kilometre. Each car's distance rate is displayed on its profile and in the search results. After your trip has ended, we'll calculate how far you drove and charge you for each kilometre according to the distance rate. The distance rate includes all the fuel you use and helps to cover the Owner's other running costs from your driving. Running costs include things like tyre wear, servicing costs, and general wear and tear on the car. Different cars cost different amounts to run, so we let the Owner choose how much they charge per kilometre. An efficient hatchback is much cheaper to run than a fuel-guzzling van or convertible that needs premium fuel. Having different rates helps ensure the Owner is adequately covered for their running costs. How do I buy fuel?